Yesss, you read it correctly, with only two ingredients you can make these delicious little Fudge bites. This was our dessert on Saturday, and from what I was told the bites were amazing. I was tired of cooking these past few days for Saturday’s dinner, so the dessert was going to be very simple and I mean very simple. This was the first time I make this specific dessert, and I have to admit the little, very little, at the tip of the spoon little tasting test I did, wellll, let’s just say it tasted really good and I’m not even a Chocolate Fan. Would love to hear your feedback on this recipe!! Break Chocolate into smaller pieces and melt using the Bain-Marie system. Boiling water in a pot, and then place a bowl on top of the water and melt Chocolate gradually. Place onto a piece of baking paper, and place in the fridge for about 40 minutes. Cut into bite sizes and enjoy!! As soon as I stop being lazy, I'll get around to it and let you know. 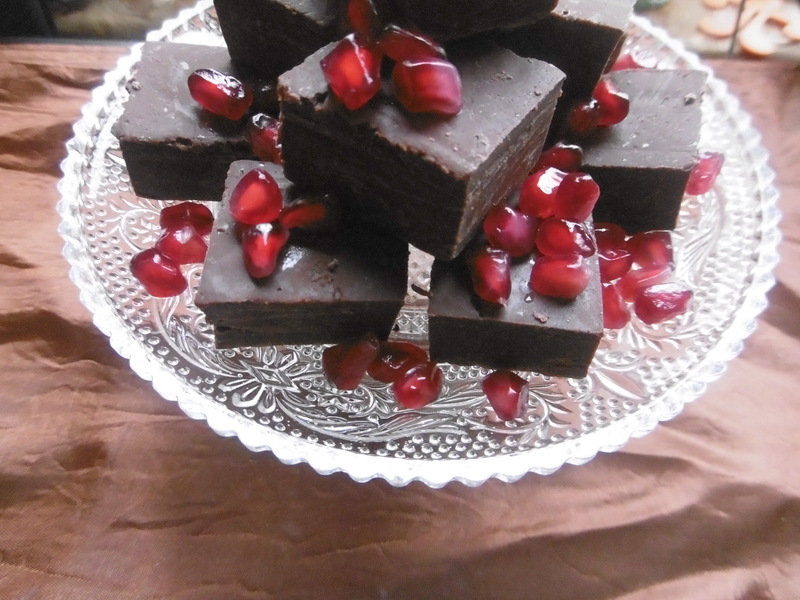 Simple and yet delicious chocolate fudge! i will definitely try this. So cool that there is only two ingredients! !